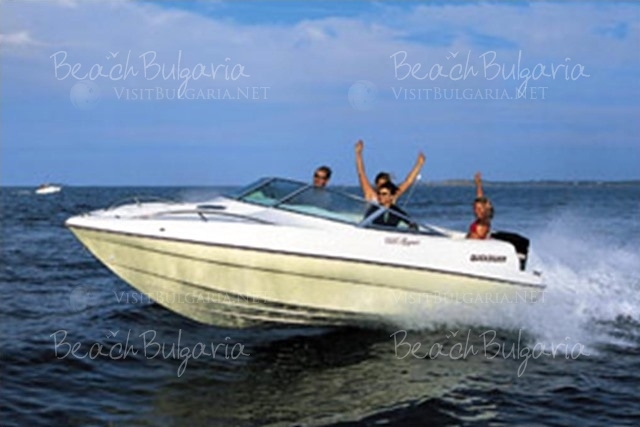 Quicksilver 620 Sport Runabout in Bulgaria. 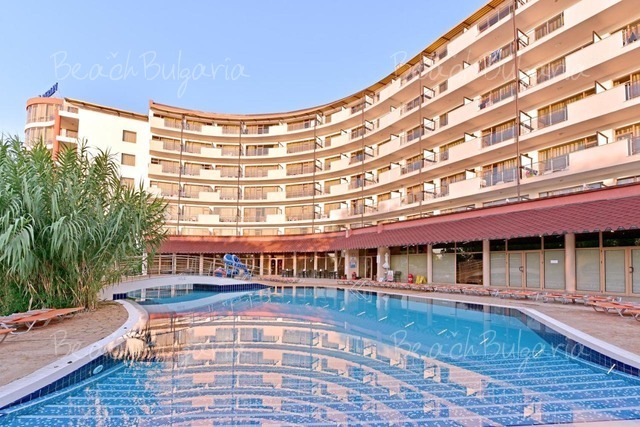 Rent a cabin and rent a boat and sail the Black sea in Bulgaria. The 620 Sport, a quick and modern runabout, is ideally suited for water skiing or fast cruising. The spacious cockpit provides seating for 6. The 620 Sport is available with outboard power. A canvas convertible top is also available as equipment. * Skipper 150 Euro daily, 30 Euro/ hour; * Extras, special service, catering is also question of negitiation; * Fuel, food, drinks, tips, Trans log and mooring outside the domestic marina are not included; *** Please note, taht 30% advance payment of the charter fee is required upon booking. The safety deposit is payable cash on spot in the marina.